A biopic is only ever as interesting as the focus of the movie. British rock-gods Queen or more specifically their charismatic front-man Freddie Mercury should be the perfect subjects for an interesting true life story. However, the more you dive into the story of Queen and Mercury, you realise that the story may be weighted in the wrong direction. The film uses the famous Live Aid performance as bookends but manages to go right back to the bands beginnings as a different band entirely before Mercury adds his own unique styling and amazing vocals to the already accomplished band. It is an interesting start and manages to show the dynamics in the group clearly, from the unhinged Mercury, the outspoken Roger Taylor, the calm and level-headed Brian May through to the “other-one:” bass player John Deacon. 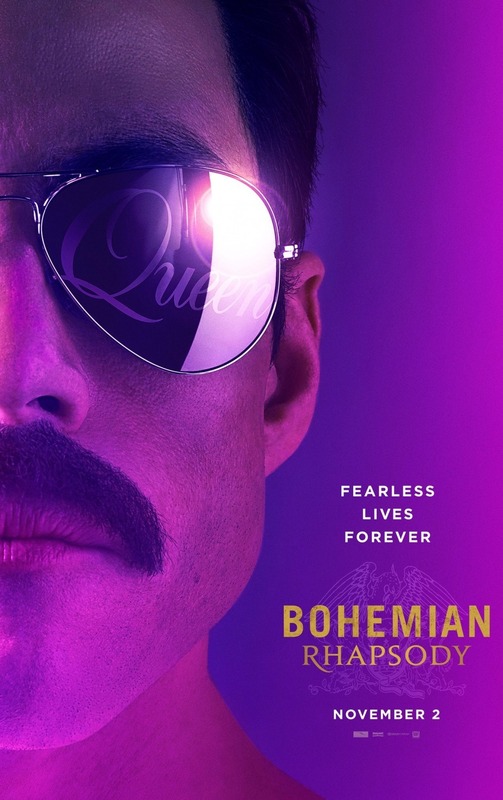 They are all brought to the screen fantastically but it is Gwilym Lee as Brian May and Rami Malek as Mercury that manages to steal the movie. For the former, Lee is a perfect May. The expressions, guitar playing and intonation feels like we are watching a young May rather than a person playing him. Malik is less convincing in his overall performance. At times you can’t help feeling that Malik is more of a impression than an all-encompassing “lose himself” performance. This isn’t to say he doesn’t do a fantastic job though and his singing makes up for any issues with the performance itself. He carries the notes Mercury made famous in a seemingly natural and almost effortless way, bringing you into the world of Mercury. A world though, that isn’t that interesting. The movie fails to do justice to what could have been a very good look at the life of the front-man. He was a closeted homosexual until newspapers and an Aids diagnosis forced him into the limelight. Here this is touched upon but never truly explored. Instead, the story seems to be about how “off-the-rails” Mercury became and how he regretted his actions later in life. Much more ordinary for a rock-biopic and much more boring considering the potential source material they could have mined-from. The real story of any worth is actually Queen and their songs. When the band are creating their iconic classics the film lights-up. Seeing the inspiration, ideas behind and then creation of songs like Bohemian Rhapsody, We Will Rock You and Love of my Life is much more interesting then Mercury being obnoxious at parties. It is a unique look at an iconic creative process which resulted in some of the best songs of all time. Couple this with the “finale” of the movie. The Live Aid performance is almost recreated in full. Recreated is accurate. The actions and performance of all the band members is taken directly from footage recorded and the cast do a great job of bringing this to life. Malik especially has a monumental task but delivers here in an exceptional way, seemingly capturing Queen and Mercury’s most important moment. 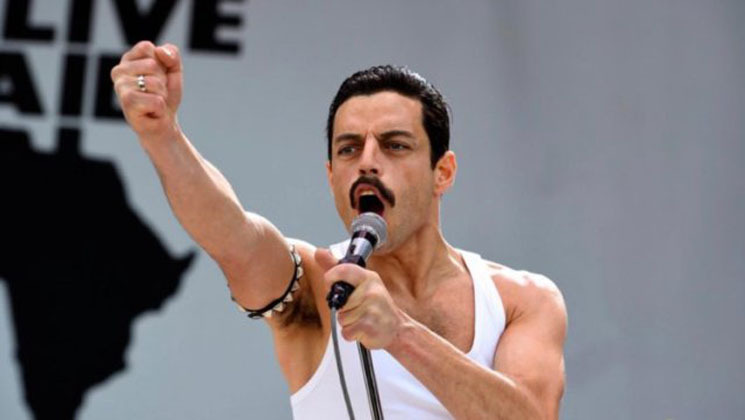 Overall, Bohemian Rhapsody is a great Queen biopic and an average Freddie Mercury one. 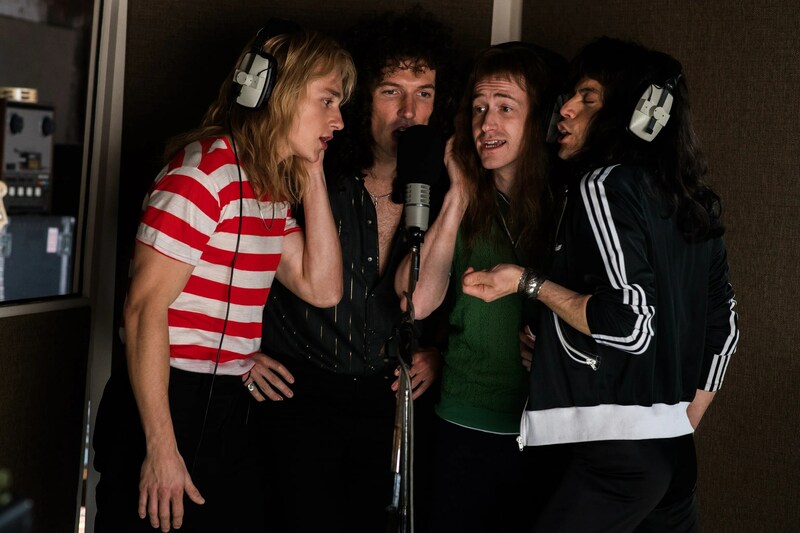 The casting is great, especially Malik as Mercury and Lee as May but when the film is focused on Mercury rather than the band, it is wholly average. When it is focused on the songs, music and live performances, it really captured what made Queen so special. Previous Previous post: Oscars 2019: The Launch!